The North Shore Montessori Schools have provided authentic Montessori education for children from infancy through elementary for over 50 years. Full-time, part-time and summer programs available. 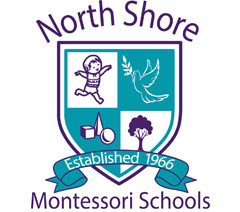 North Shore Montessori Schools offers eligible Northwestern faculty, staff and students a 10% tuition discount on all full-time and part-time pre- k, kindergarten and elementary programs (this includes both half-day, and full-day programs). For admissions information, and to schedule a visit to the school, please contact Director of Admission, Arlene Gordon at arlene@montessori-schools.com or visit https://montessori-schools.com/nuworklife.htm.